I HAVE four Pinterest boards, two of which are inspiration for things I'd like to make and do and things I'd like to cook and eat. I figured pinning was one thing, but actually 'making and doing' and 'cooking and eating' were another thing entirely so I am pulling out some of these pins and having a crack at them myself. Pin My Way, or #pinmyway for those who like the idea and might want to play along, is my real life making of the things I've pinned. 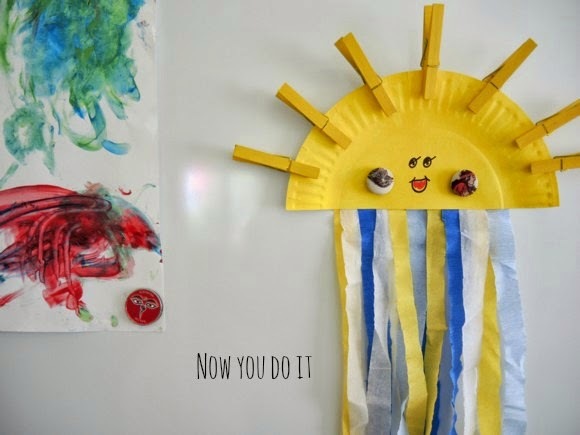 This happy sun was modified for a Girl Guide project, teaching Junior Guides - members aged between seven and 10 - about the organisation's values. Girl Guides promise to live by a code, including the idea that they "be friendly to others". The sun's rays detach and at the start of each day, or week, as the sun comes up - a lovely golden orb in the sky - the girls add a peg for each time they added a little ray of sunshine to another person's day. For those who used to be a Girl Guide or Scout it's similar to the idea of a Good Turn. Lots of rays, and that's a lot of kindness and happiness lighting up the world. 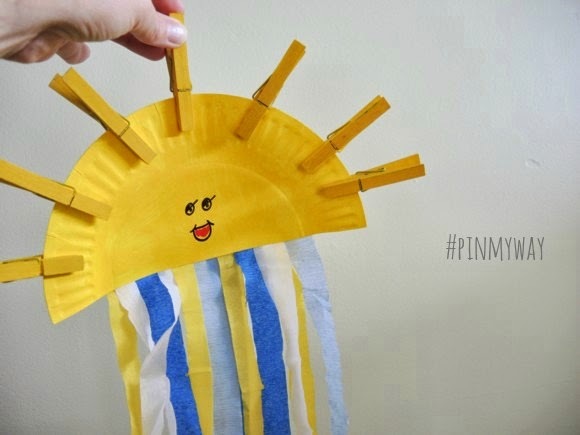 Cut the paper plates into halves, and give one half to each person making a sun. Paint one side of the paper plate half yellow and allow to dry. 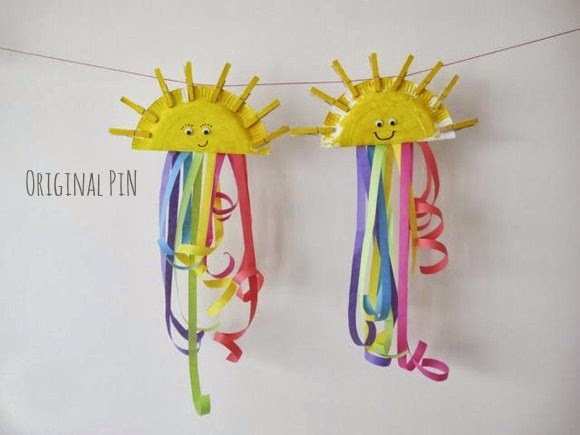 Paint wooden pegs yellow and allow to dry. Cut lengths of the streamers and glue to the back of the paper plate so they hang down from the cut half. Allow to dry. Draw a happy face onto the right side of the paper plate. Attach your pegs, or rays, for each act of kindness you do for someone else. Nice one! I finally made some concrete planters recently after going on a pinspiration frenzy leading up to the activity! I think I'm less likely to actually work through some of the pins from my food and drink board though.